She is an amazing dentist that explored alternative options to save my tooth without any intrusive or high-risk operationsnecessary (as I was recommended by another dentist). Her bedside manners are impeccable and she truly cares for the people she services. I highly recommend her if you want a reliable and highly experienced dentist. She is an amazing dentist that explored alternative options to save my tooth without any intrusive or high-risk operations necessary (as I was recommended by another dentist). Herbedside manners are impeccable and she truly cares for the people she services. I highly recommend her if you want a reliable and highly experienced dentist. Dr. Charles has been practicing dentistry since 1992. She graduated from Tufts University School of Dental Medicine and completed her General Practice residency at Bronx-Lebanon Hospital. She went on to act as director for a school based health program working with underprivileged students who had no access to dental care. 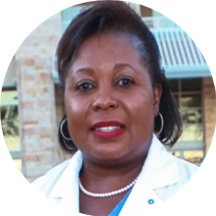 Dr. Charles is continuously learning new and innovative aspects of dentistry through her professional affiliations. Dr. Charles is also a member of Alpha Kappa Alpha Sorority, Inc. and performs community service through this organization. In her spare time, she enjoys playing tennis. ***If you have a Dental Emergency please call our office to inquire about earlier availability than what is displayed on the schedule. Great atmosphere. Clean and friendly. Great service! Phenomenal with small children! Dr. Charles was very professional, patient and kind. She even not only spoke to me on a professional level but also a friendly level. Dr. Charles has an excellent communicative manner and made sure I was comfortable during the procedure, and was very alert for any signs that I was having discomfort. She explained things to me so I could understand them.